Not routinely, unless specifically requested. You may have been under one of our physiotherapists prior to your surgery, in which case they may have prepared you for what to expect following surgery. Following your surgery, you may feel tired and slightly nauseous as a result of the anaesthetic, and you may have some reduced sensation in the operated limb. Pain should be well controlled, and the nursing staff will be monitoring you regularly. You will be offered food and drink when you feel ready, and the nursing staff will explain all the post-operative advice to you. This should be adhered to, and the operated wrist/hand should be kept elevated when possible. Pain should be kept under control following surgery, and you will be provided with analgesia to take home to help with this. Routinely you will not see a physiotherapist immediately after your surgery unless specifically requested by your surgeon. 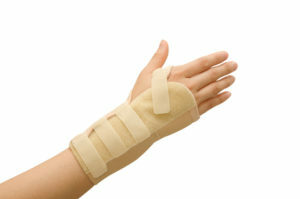 The surgeon may ask for you to be booked in with our specialist hand therapist a few weeks following your surgery. This may be requested after your surgery, or following your outpatient appointment. Find more details on hand therapy here.